Ja! Ich freue mich! 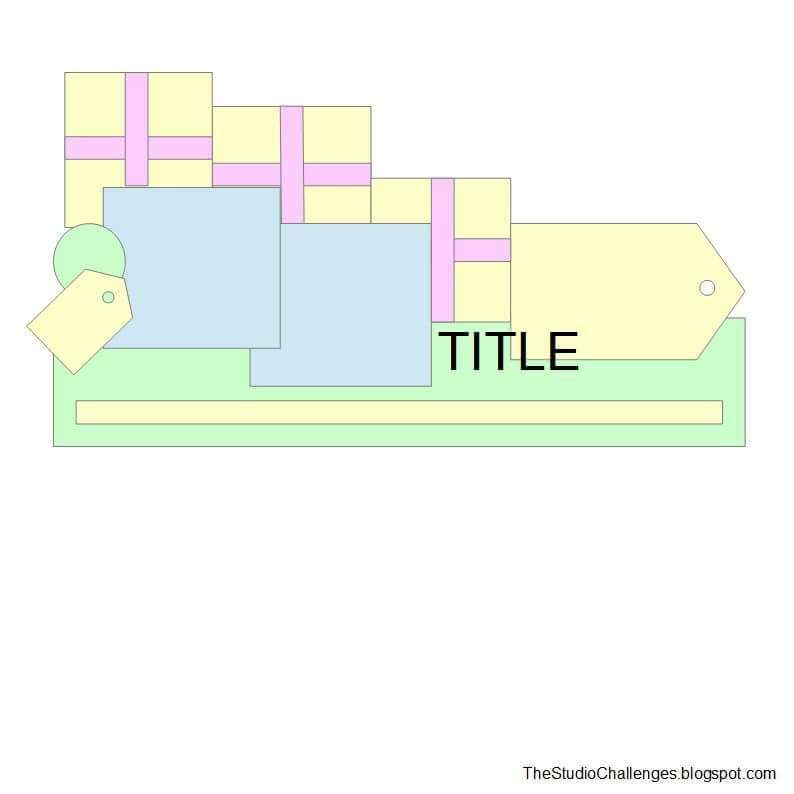 Ich darf beim Design-Team von the studio challenges dabei sein! 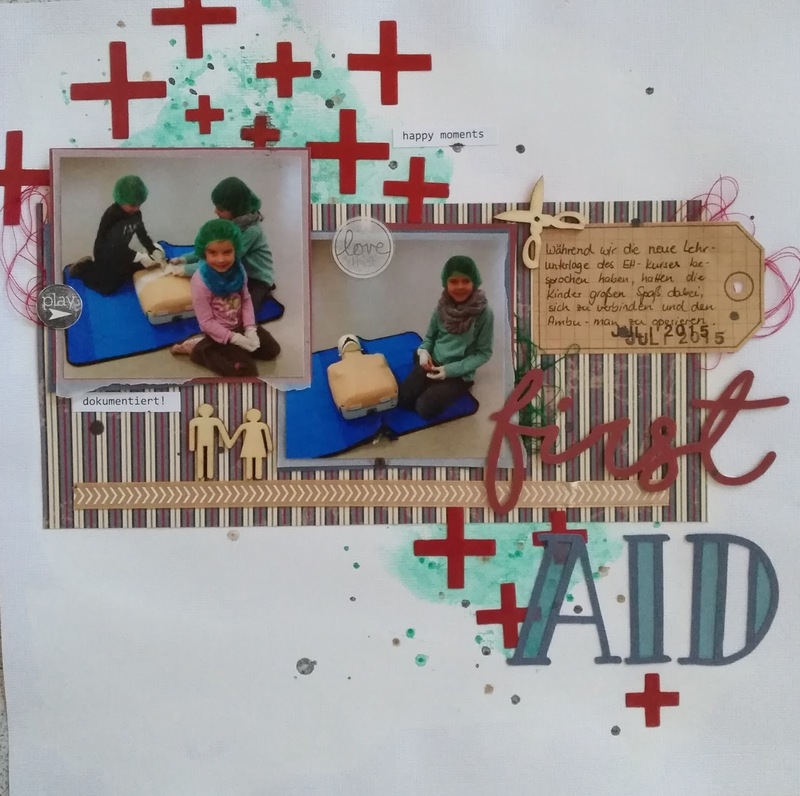 Und heute zeige ich euch mein erstes Layout! Yeah! 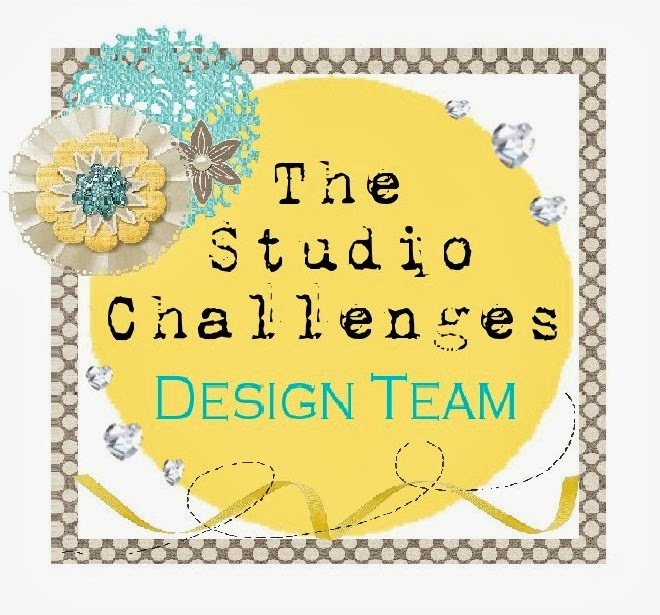 I'm so excited, that I am a part of the design team of the studio challenges! And today, I show you my first layout! Als Hintergrund habe ich weißen Cardstock verwendet. Kreuze sind Überbleibsel eines Stencils, den ich mit der Cameo geschnitten habe. Sie sind aus Laminierfolie. Für das Layout habe ich sie mit roter Acrylfarbe angemalt. Den Hintergrund habe ich mit etwas grüner Farbe coloriert und bespritzt. Den Titel habe ich mit der Cameo ausgeschnitten (shoreline script und DK Douceur). Das Wort "Aid" habe ich mit blauem Transparentpapier hinterlegt. I used white cardstock as my background. The crosses are leftovers from a stencil, I cut out with my cameo. I painted these plastic crosses with red acrylic paint. Then I colored my background with some splatters of green watercolor. The title ist cut out with my cameo (shorelines script and DK douceur). The word "aid" is backed with blue vellum. Jetzt dürft ihr zeigen, was ihr mit dem Sketch gestaltet! Now, let us see, what you create with this sketch!